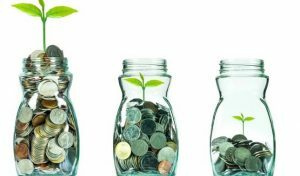 It is a fact that you can actually get far better rates of interest right now from a good current account than you could do from any easy access savings account, ISA or otherwise. Some bank accounts are offering as much as 5% interest in order to compel you to switching your accounts over. It is not quite so simple however as very often these awesome interest rates do come along with some conditions. For example there is usually a cap on the sum of money that you can earn interest on, which varies between accounts but you may get 5% on the first £1500 in the account and lower interest on any amount above this. There may be a minimum paying in amount each month to satisfy the conditions of the current account. This doesn’t mean you have keep the money in there, but it does have to go in there nevertheless so you need to be able to afford the initial monthly amount, commonly £1000 or greater. We will give you a few tips on chain linking payments later on in the article. Another important thing to consider is if you have debts and if so what are those debts. For example keeping long term credit card balances and making minimum payments, will cost you more in interest in the long run than you will ever gain in using a high interest current account. Debt is bad! A part of your saving strategy should always be to transfer any credit card balances to 0% cards and pay them off asap while interest free. Top Accounts with free Cash for switching. Not many people will turn free cash down and the banks know this! Offers range from £50-£250 of free cash for switching your current account to a new deal. Usually there are some minimum criteria that must be met eg. minimum amount paid in each month but still, even if you don’t use it as your main account with our payment chaining tips you can still make the criteria provided you have at least £1000 per month incoming into your account. Top Current Accounts for benefits or rewards. Are you already paying out for things like mobile phone insurance, roadside breakdown cover, travel insurance and so on? If so then you would be well advised to look at new current account offerings. Very often banks will not auto upgrade your current account that you have had for years with them to the newest deals, it will just stay with the same perks or lack of that you had when you took it out all those years ago. That’s like giving away your money for nothing right? Exactly… please read on. One thing to bear in mind is these type of accounts usually command a monthly fee, for example £10 per month, however depending on the benefits and perks that come with the account this is usually still a bargain. If you compare your outgoings on the things you will now be getting for free, then deduct the cost over 12 months for the premier account you can see exactly how much you will be saving. Current Accounts with the best overdraft facilities. 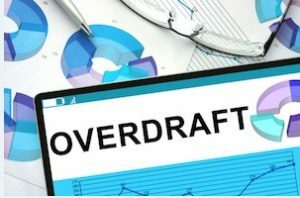 If you are frequent user of your overdraft, you would be wise to look at some of the new bank account offers that are geared towards frequent overdraft users. One thing to look at is if you can get a 0% interest free overdraft and also what fees if any are charged for larger overdraft limits. Fees for authorised and unauthorised overdrafts need to be checked because paying less out each month for using your overdraft can help towards you ending up living in credit instead of debt. Click here to skip ahead to the Current Accounts with the Best Overdraft section. Bank Accounts with the best customer service. Just as with most things in life, not all banks are made equal. Use the Bestloans.net Finance at Glance table to quickly see which banks are rated best in this area. It may help your decision when adding customer service into the equation, in addition to the other factors discussed in the key points listed above this one. £5 cashback per month if you make 20 or more debit card payments, and an additional £5 when 2 or more DD mandates are in use. Telephone, in branch, online (inc smartphone app) and post office account management. Varied discounts and deals through the Simply Rewards scheme as well as cashback from certain retailers. In branch, by phone, online (inc smartphone app) or post office account managment. The best cash bonuses for current account transfer or signup. In credit balance 3% AER variable on under £1,500. App: You can download it for iOS (rated 1.5/5) and Android (rated 1.9/5). Phone, in branch, online (inc smartphone app) and post office account managment. 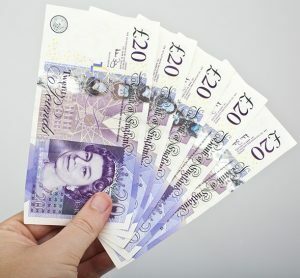 £150 signup bonus PLUS £50 if you stay so £200 cash. Terms must be met for this account. APP is available for IOS and Android operating systems. Arranged overdraft cost: 0% for the first six months, then 17.9% EAR. So free overdraft for 6 months! Unlimited rewards on bills for the home if paid by DD. The account pays 3% AER on credit balance up to £2500. This works out at a max interest of £74 per year which offsets the monthly fee somewhat. £156 – 74 = £86 per year fees if you have minimum £2500 in there all year! £250 0% overdraft – perfect for the in and out overdraft inhabitant! 15.9% EAR on overdraft above the £250 free amount. Do a full switch using our link and get £100 cash! To keep the account free you must pay in £1000 per month or maintain a minimum account balance of £1000. First Direct linked to HSBC so the £85,00 guarantee is linked across both banks, hence don’t keep over that between these two or it’s not guaranteed. Online, telephone and mobile banking only. 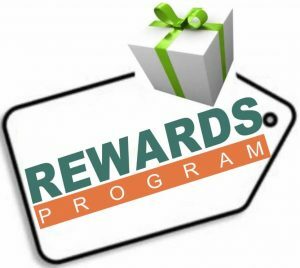 Varied discounts and deals through the Simply Rewards scheme and certain retailers offer cashback incentives. If you refer a friend and they meet the criteria and switch to an account with Nationwide you will both recieve £100. You can refer up to 5 friends per tax year and get paid for each one! If you have had a flex direct account in the preceding 12 months you will not be eligible for the cash bonus or interest free overdraft for 12 months. Customer service ratings provided by Moneysavingexpert.com – Excellent (90%) , OK (7%) and Poor (3%) of all customers surveyed. Do a full switch using our link and get £125 cash! To claim the £125 gift card, the current account switch service must be used, and you need to maintain a minimum of 2 active direct debits from this account. To get the £5 monthly top up, a minimum of £1000 must be paid in each month in addition to the two direct debits listed above. What is 7 day current account switching exactly? A mere 57,779 switches were made using the 7 day current account switch service in September 2017, which is by far the lowest number since the scheme was launched over 4 years ago. This also represents a decrease of nearly 14,000 switchers since august, when 70,861 current account switches were recorded. These figures are surprising considering the ease of switching with the 7 day switch service and also the nice cash incentives and benefits on offer for switching. How does this 7 day Current Account switching lark actually work then? Under the Current Account Switch Service, which is run and administrated by the Payments Council, you are able to nominate any date to move to your new account, as long as it is greater than 7 working days away! Before this scheme was introduced in 2013/14 it could take anywhere between 10 – 30 days Plus to swap current accounts! No wonder the industry decided this had to be improved if anyone was ever actually going to be persuaded to change banks. So what exactly are the banks guaranteeing? There is a 13 month period from after you switch current accounts where your new bank will organise for payments made to your old account to be redirected to the new account. They are also obliged to contact the payment requester and provide them with your new account details. Your new bank will transfer outgoing payments in addition to direct debits and standing orders to your new accounts. Also, they will deal with inbound payments such as credits or your salary and ensure these end up in your new account. Any credit balance will be transferred to your new current account on your switch date. Any issues that are found with the transfer process and your new provider will contact you before the switch initiation date. If there are any hitches during or after the switch, your new bank is responsible for paying any lost interest or incurred charges on either the old or new account. It will be your job to chase this up with them though. The 7 day current account switch service is totally free to use. What should I be wary of during my Current Account Switch ? Recurring payments, are not part of the 7 day switch guarantee. Usually these are setup using your banks debit card details and not your account number and sort code. These could be for things like internet subscriptions, telecom bills, gym memberships or even payday loan repayments. A good way to build a list of companies who you pay this type of payment to is to go through an online bank statement for say the past 18 months or 24 months (this covers annual, quarterly and annual payments) and make a list of all the regular of arranged payments of this type. Once you have a list of companies, send off an email to them all requesting they change the payment details or if its available online which the vast majority of services now are, then change your bank details in the payment section of your control panel. Be sure that all of this is verified and setup correctly to ensure you don’t get any service stoppage due to a failed payment! The actual receipt of your card reader and pin is not covered by the 7 day guarantee because the Payments Council who administer the scheme, say it is up to the card provider (eg. your new bank) to be sure that the customer (you) has their new card and pin on or by the 7th working day of the switch. It is a wise idea to ensure you have some backup funds in place just in case anything is delayed unexpectedly. Your old account will automatically be closed as part of the 7 day switching process. If you are a prolific switcher for cash, benefits or rewards, that’s not a problem, you can keep your old account open and opt not to use the 7 day scheme and use a similar method to the old scheme. This can take up to 30 days and payments etc are not always transferred smoothly so you need to have a close watch over things during the transfer process if using this method. 7 day current account switching service advertisement - how the service was introduced to the public! Bank Account Switching Facts and Figures courtesy of First Directs excellent research data. Facts and information for picking the Best Current Account for your needs. Before choosing which account to go for, you should think about how you operate your current account presently. Don’t go for an overly ambitious account that is going to cost you fees if you don’t think you will use the benefits it brings. Write down your cash flows, both in and out and list how much you will pay in and take out each month. Do you need an overdraft? Do you actually spend most of your time deep in the overdraft? Running through these factors will help you narrow down the choices and choose the right account for you and your lifestyle. One thing to consider is that it can be a good option to take out a cheap personal loan to pay off an overdraft you just cannot seem to get out of. Provided you are responsible about repaying it and do not go back into your overdraft this is a good way to get out of your overdraft and stay out of it. What type of current account do I need then? Standard bank accounts are usually referred to as current accounts. They are suitable for a large percentage of the population as you can have your salary paid in, bills paid out, use online banking etc. You usually get a debit card with this type of account providing the facility to use cash machines and pay for things on a card either online or in shops . Packaged accounts are primarily aimed at people who are seeking additional extras over and above what a standard account will offer them. This can range from mobile phone insurance, global or euro travel insurance, breakdown cover and often cashback on purchases from a wide range of companies. This type of account is usually selected by slightly higher earners as there are usually monthly or annual fees associated with the account. You just need to weigh up the benefits of the account to you vs the cost of the fees to determine if this is the right route for you. Student accounts are purely aimed at , not surprisingly, students! In this case primarily undergraduate student accounts. Many of the features of these accounts such as interest free overdrafts are benefits specific to students for example discounts on things that only students would usually be doing. Graduate accounts are purely designed for graduates of university or higher education. They very often tempt graduates in with special offers like big 0% overdrafts, and no fees for X years. They also usually offer free daily banking as well as the standard stuff like online and mobile banking and for graduates with a job offer they offer cheap personal loans, to help new grads get a foot up the ladder and also buy some loyalty to that bank as their earnings increase. Basic bank accounts are available to anyone and generally are suitable for people who are unable to qualify for a standard account. A basic type of cash card is usually provided but debit cards are not always a part of the package. This often suits people with poor credit history or have only recently moved to the UK and therefore have no credit history or proof of reliability. What other factors should you consider while comparing current accounts? Interest rates (AER). This stands for annual equivalent rate. It is the variable interest rate on a credit balance in your account. It indicates how much interest you will be paid during the year. Very often these rates are based on you having a minimum of £1000 in your bank account. 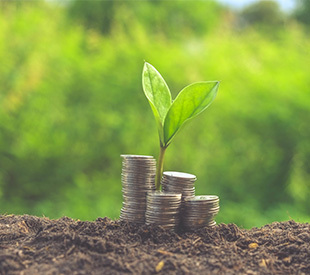 Current accounts generally should be not used as savings accounts as their interest rates are geared towards regular cash movements in/out rather than leaving decent sums static in the account. Overdraft Cost. This is how much it will cost you to use the accounts overdraft facility. Beware, this relates to an agreed overdraft. Unauthorised overdraft charges are also shown in our account comparison tables and they are significant in some cases so beware of unauthorised overdraft usage. 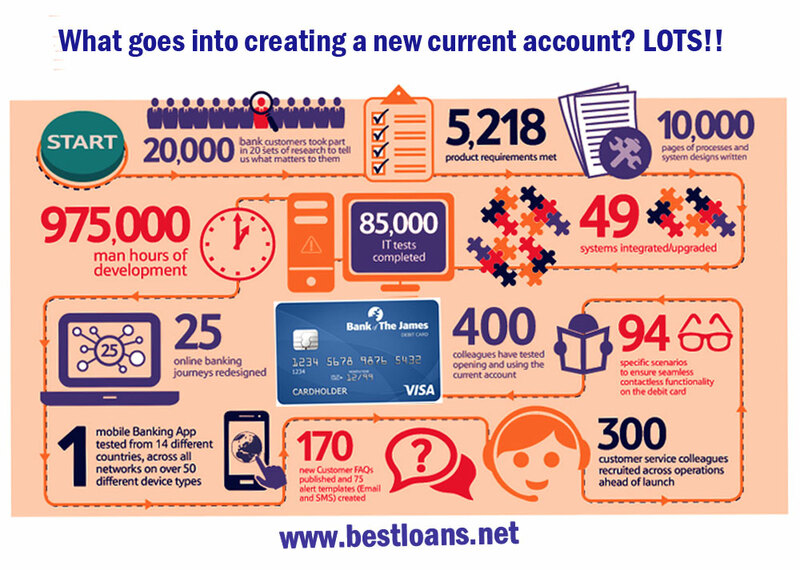 Check out our monster infographic showing the amount of labour and work it takes for a bank to setup a new type of current account! It’s not always roses in the land of current account switching! Here is where the switching process went wrong , to forewarn you with pitfalls that others have discovered on occasions during the process. Janice had a Nationwide account and used the 7 day switch service and arranged for her salary to be paid into this account. All was going well and the bank provided updates via email, until today when a letter was received from Nationwide to say “We’ve stopped your account switch”. It proceeds to say that we cannot continue with the switch because Natwest inform us your account is unavailable to switch at this current time. Janice called Nationwide to be told they had no problems at their end and to talk to Natwest. She duly did so, and they assured me it was due to the accounts being closed and I would now have to move the direct debits and so on manually!. Janice then checked with Nationwide whether her account was still open? was it in a state of flux! They confirmed the account was indeed open but with restrictions, one of them being no withdrawls permitted, due to the information Natwest had provided. It turned out the Natwest had put a marker block on the account for unknown reasons and for no valid reason as Janice had always kept her account in good order. This left her in a difficult position with having no actual bank facility, for example where should her wages now be paid? After some delay and many tense phone calls the situation was resolved but there was a lot of legwork on Janices part.